How’s this for irony: Steve Jobs was initially opposed to entering the e-book market over which Apple is now sparring with the U.S. Department of Justice in a Manhattan federal court. Testifying in the DOJ’s e-book price-fixing case Thursday, Eddy Cue, Apple’s senior vice president of Internet software and services, said that when he first approached Jobs with the idea of a bookstore in the fall of 2009, the Apple co-founder dismissed it. But as Apple began ramping up for the launch of the iPad, Cue broached the idea again, and Jobs had a change of heart. 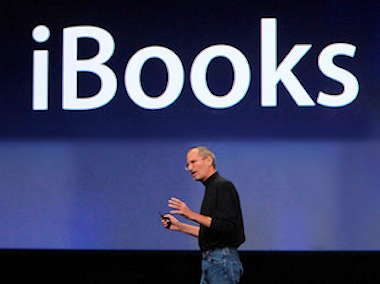 That was the “good part,” Cue explained, and it inspired Apple to approach publishers about selling their e-book titles. But there was a “bad part,” as well: Timing. And a challenge that Cue took upon himself to complete not just for Apple and the promise of a new revenue stream, but for Jobs, whose health was in decline at the time.